Jeffrey A. Parks is an attorney, author and social entrepreneur known for his pioneering work in using arts strategies for community and economic development. To help his community deal with the ravages of deindustrialization, Parks conceived the free music festival, Musikfest, as a vehicle to sustain the downtown of Bethlehem, Pennsylvania. Under Parks’ leadership the festival, which since 1995 has attracted one million guests per year, grew into a non-profit agency whose mission was economic development through the arts. The non-profit ArtsQuest fostered the development of Christkindlmarkt a holiday festival that sustained the community’s Christmas City brand, grew the city’s tourism market and contributed to the economic viability of a small downtown. ArtsQuest established the Banana Factory Arts Center near the closed steel mill in 1998 and in 2011 opened the 10 acre SteelStacks Arts & Culture Campus, a $90 million project at the base of the former Bethlehem Steel Blast Furnaces. Parks retired as CEO of ArtsQuest in 2014 and has become an advocate for the importance of the arts in community development. 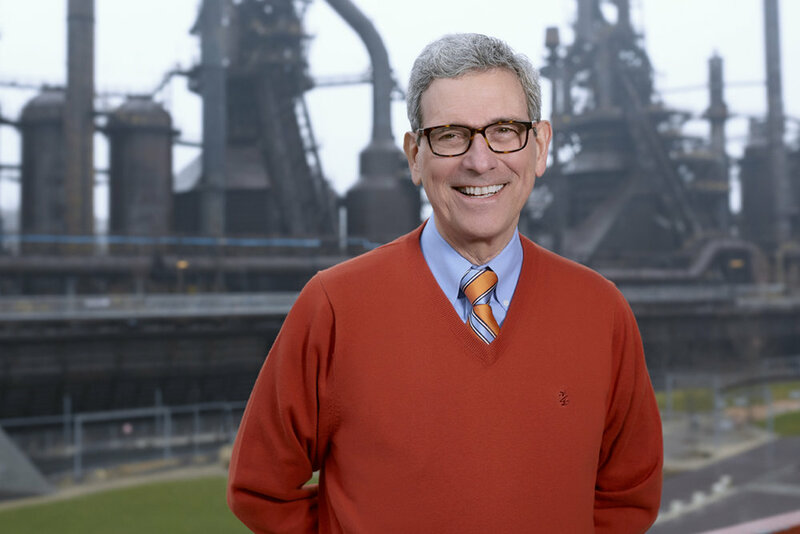 Parks book Stronger than Steel, Forging a Rust Belt Renaissance, which chronicles the success of the strategies implemented in Bethlehem, is scheduled to be released in July, 2018. Since October, 2016 Parks has served as the chair of the Pennsylvania Council on the Arts. As Jeffrey A. Parks decided to create his own press to publish his book Stronger than Steel, he wanted to give it a name that related to the story of the renaissance of Bethlehem, Pennsylvania that is told in the book. When he found that the obvious place related names of the city and the Lehigh Valley region were taken, he resorted to something less obvious, the lyrics of Lehigh University’s Alma Mater which he learned as a student. Mid a grove of spreading chestnuts, walls of ivy dressed. Stands our noble Alma Mater, stands our dear Lehigh." The non-navigable river flows through the city, divides its two distinct downtowns and during most of the year is so low that canoeists must work to avoid the outcropping rocks, particularly in the area that abuts the former Bethlehem Steel plant. Thus, Rocky Rapids Press was born.